Marymount Interior Design students win second place in 2014 Interior Design Video Education Competition sponsored by IDEC, IIDA, CIDA, NCIDQ and Interiors and Sources. 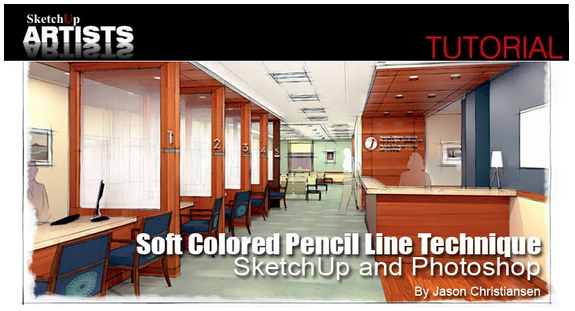 Here’s another great SketchUp / Photoshop digital rendering tutorial by Jason Christiansen. Jason uses both SketchUp and Photoshop (with the fotosketcher plugin) to create perspective renderings with a hand-rendered look.